Even mortal enemies can come together for a toast now and then. 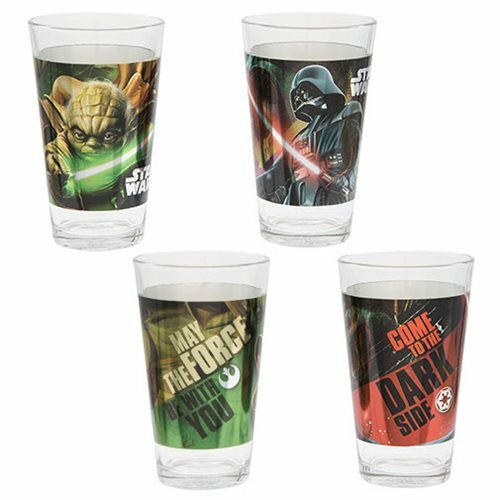 Sit down and have a drink with these Star Wars themed pint glasses, featuring Darth Vader and Yoda. Laser print technology brings the designs to life. Packaged in a full-color open-window display box, each glass measures approximately 3 1/2-inches wide x 5 3/4-inches tall.